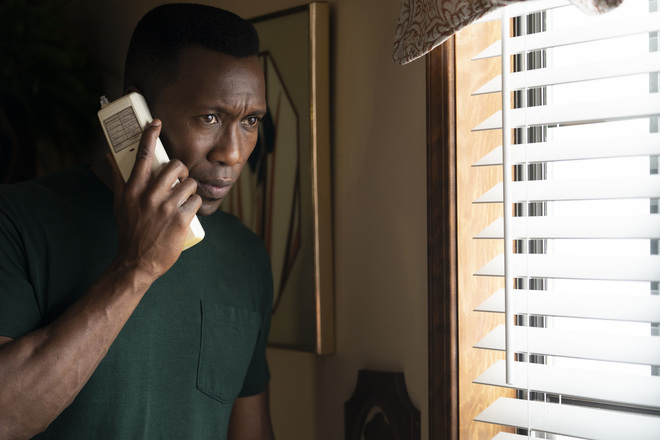 True Detective: Season 3, Episode 8 'Now Am Found" (Series Finale) Review – AiPT! The finale for the third season of True Detective is here. After seven episodes and literally decades of investigation, the finale for the third season of True Detective is here. How far does the conspiracy run? Who is involved? Is time truly a flat circle? Detective Hays had been at the forefront of the third season. Mahershala Ali’s performance has been consistently stunning. He is not just a police officer always out to do the right thing or a flawed hero audiences cheer for. Ali has played him as a just another person. There is some good and some bad to him but he is not your typical hero. Ali does a wonderful job of displaying Hays strengths and weaknesses equally. Hays is a character viewers can simultaneously root for while also knowing he his inober his head. Ali makes the character seem genuine instead of inconsistent. The rest of the cast has also done a great job with Stephen Dorff being the standout. The relationship between Hays and Detective West has gone through many changes and Dorff and Ali have great chemistry. The two have managed to convey anger, friendship, and disappointment beautifully. Watching the two of them has been one of the most exciting parts of True Detective. An important part of True Detective has been trust. Season three has not just about figuring out which suspects to trust. It has also been about trusting the detectives – especially the memory of Hays. At times, it has been like listening to an unreliable narrator. At other times, it has been painfully real. The finale deals with the place where memory and reality meet. The writing in the episode is great. There are callbacks to previous episodes and the show is filled with some excellent moments of dark comedy. It also continues to develop its main characters even as it is coming to a close. This is in part thanks to the great pacing. Time is spent between solving the season’s mystery and providing insight into Hays. There is a great scene in which Hays explores the genesis of his relationship with Amelia as West deals with its fracturing. Highlighting the two most important people in Hays’s life also shows how the case has affected him. Those who have been watching the entire season have come to realize True Detective is as much about how the case has impacted its characters. This is true for the solution of the case also. How well a mystery is received ultimately depends upon its solution. The solution provided her is not just a simple matter of finding out who the villain is. It is frightening answer that has ruined countless lives. The episode builds to a satisfying conclusion. Different eras of Hays’s life are touched on. The ending also does what any great finale should do: it satisfies its viewers while inviting questions. One issue with the episode is it does seem to drag on. There are two or three perfect endings before the show finally settles on one that is fine. The third season of True Detective has been a fine return to form. Using non linear storytelling the mystery has engaged viewers. Strong characters have added to its great story. The writing ties together all threads brought up leading to a great conclusion. True Detective is gritty and real and better for it. A fitting conclusion to a season that has been carried by its engaging mystery and strong characters. The scoutmaster encounter of ‘Project Blue Book’: ‘The best hoax in UFO history’?